Hog we killed Weighed in at about 250 pounds. We hunt with black mouth curs and catahoula bull dogs. 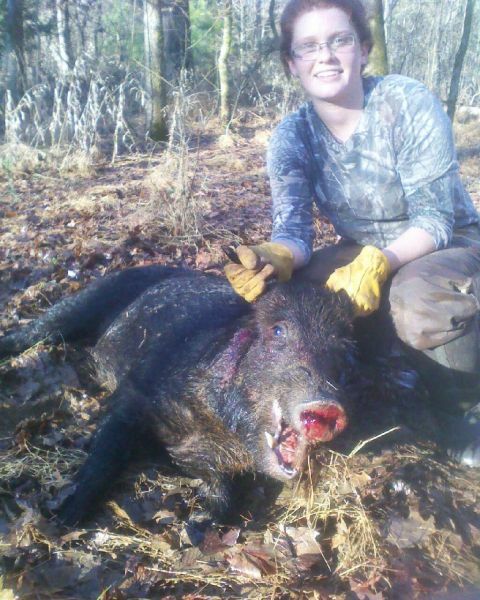 This hog was too mean to stab with a knife so we ended up shooting him with a pistol for the safety of our dogs but overall he was a great boar and definitely a hunt to remember.